Your son or daughter is undeniably excited about recently the idea of getting driver’s license or learner’s permit, but it is unlikely that they are thinking about car insurance. Don't forget who can be in the car with a permit driver. Like most parents, you’re likely thinking, “What will happen to my car insurance rates?” You can expect them to rise with the addition of your teen driver, but there are ways to save money on your increasing premiums. If your teen has a learner’s permit, you may not necessarily be required to add them to your insurance depending on state laws. We encourage you to check with your car insurer and inquire when it would be best to get them on your insurance plan. However, it is important to note that some insurance companies require your teen to have car insurance when your teen has a learner’s permit. Ultimately, if your teenage son or daughter has earned their driver’s license, they must be added to your insurance. 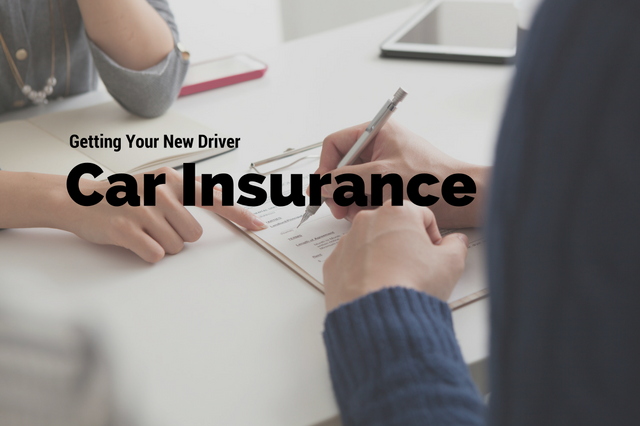 See what auto insurer might be right for your new driver. Should you get a separate insurance policy for your son or daughter, or just add them to your existing policy? While you should expect your premiums to increase when adding a teenage driver, the increase is typically less than the cost of taking a separate policy solely for your teen. We highly encourage you to contact your insurance provider to figure out the best option for your budget. Car insurance rates rise for teenagers because they are statistically more likely to get in a motor vehicle accident. According to the Centers for Disease Control and Prevention, teenagers between the ages of 16 to 19 are almost three times more likely to get in a fatal crash, with males more likely than females. Rates will continue to be high if your teenager exhibits risky driving behavior (i.e. getting in an accident or receiving a speeding ticket) or until your teenager is in their mid-twenties, which is why practicing safe driving is essential for new drivers. If your teen has his own car, ask for a discount for insuring multiple vehicles — most companies offer a deal. Advise your teen to get a reliable car over a cooler-looking sporty car, so your rates can be lower. If your teen is sharing your vehicle, determine the amount he will be driving it. Making a teenager a primary driver often results in increased rates. Ask about adding an occasional driver. If your teen is driving an older vehicle, an accident might make the repairs cost more than the value of the car. Ask your insurance company about forgoing collision and comprehensive coverage. Encourage your teen to do well in school. There are good student discounts that reward teens with good grades with lower insurance. Even more, these teens tend to get into fewer accidents. Sign your teen up for a drivers’ education course at one of our driving institutes. When your student completes a driver’s ed program, they can qualify for better insurance rates. Driving responsibly is a major milestone towards becoming a mature adult. Get your teen involved in this process by talking about car insurance, so they understand how safe driving can lower car insurance rates. Our Colorado driver’s ed programs are designed with teen drivers in mind, and our instructors are all active or retired police officers. We have locations throughout Colorado and recently opened our Parker, Colorado location.